Hey guys what is popping? 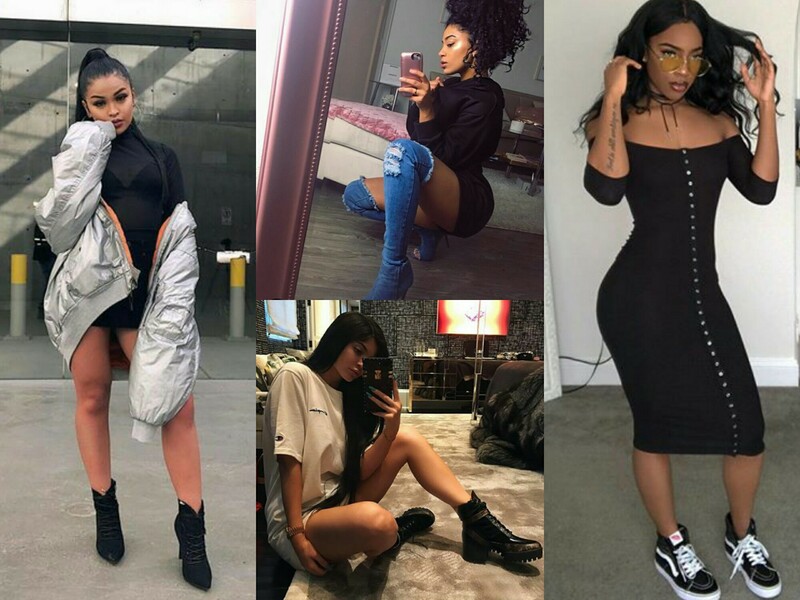 Today I wanted to showcase a bunch of looks that have been giving me a lot of heat. With the new saving button on Instagram I have a lot of looks saved that I’d love to recreate. I have been loving a lot of the clothes that Kellie Sweet wears these days since I do like trashy kind of boyish clothing so most of these outfits will be kind of inspired by or similar to hers. 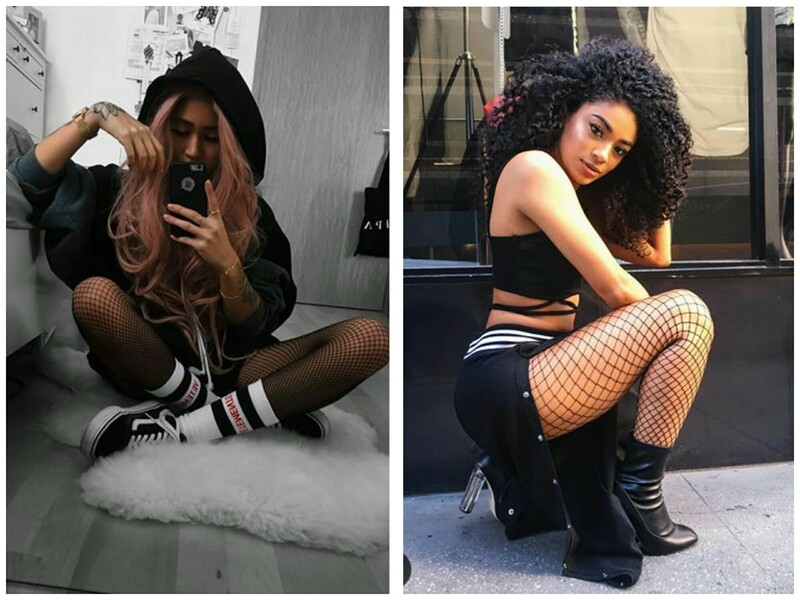 Lately I’ve been loving fishnets dearly. A look could be just like any other look until you add fishnets. They are like the cherry on top. I haven’t been able to get myself are pair of fishnets but I just know I’d abuse them if I had are pair. PS : please let me know where I could get them in SA. 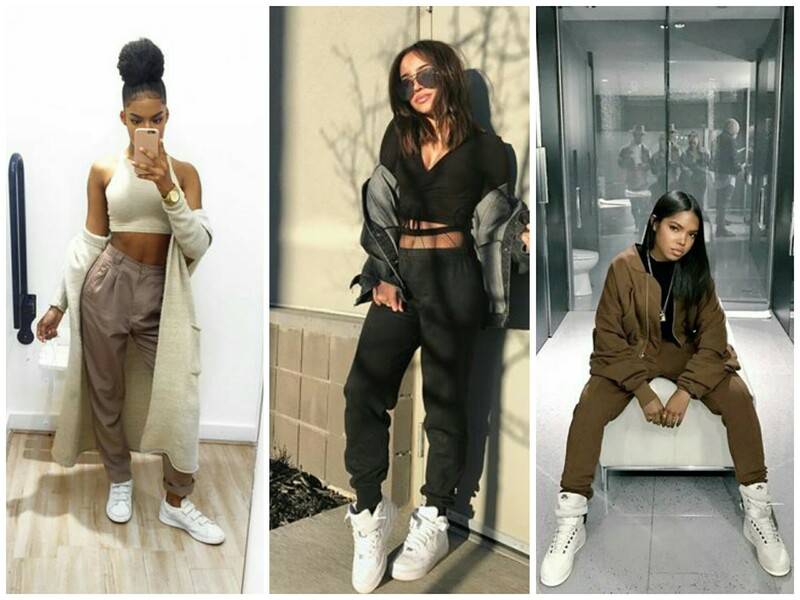 Sweat pants and jumper pants. Jumper pants? Is that even a word? I don’t know but what I do know is that I love these type of pants. I’ve got two sides: the girly side and the boyish side. But sometimes I do like to mix up both the sides and get like an equally weird outcome. For example I’m the type to dress up sweat pants by wearing heels and bralets with them. I don’t know what the disease is called but I’ve been obsessed with different types of jackets. I’d be the type to have a huge collection of them. Just like fishnets a jacket could up an outfit from a 0 to a 1000. 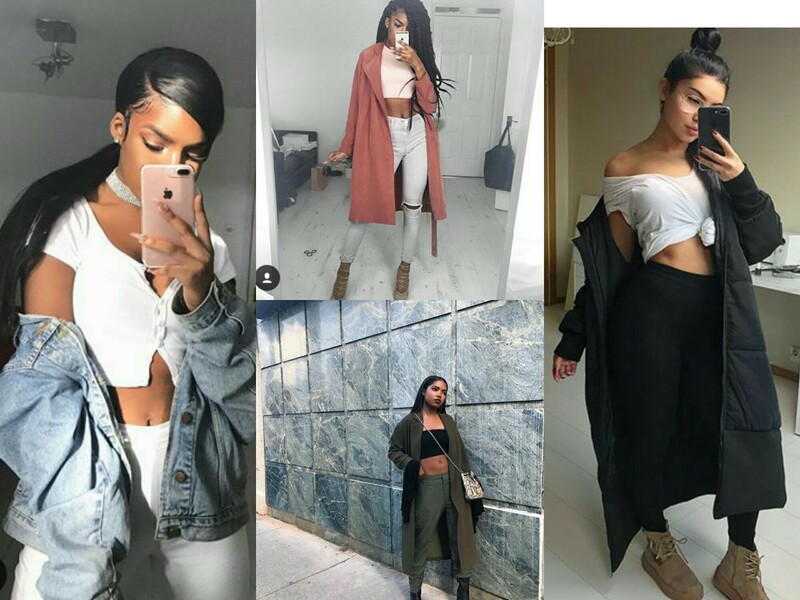 At the moment oversized and long jackets are my favourite because they just dramatise a whole outfit. Tight dresses and oversized shirts are where it’s at. I’m the type of person to up a totally basic outfit into something you’d think I spent a lot on. I find the fun in mixing and matching small little things until they become this overrated thing. For example how something as basic as a tshirt could be uped with an oversized jacket, fishnet and thigh high boots. So those are half the things I’ve been obsessed with. I am planning a part two of this post with makeup though so if you’d be interested hit the like button. Thank you so much for reading. I really hope you liked this post. ← HOW TO GET A GOOD NIGHT’S REST.